Nurse Meesh – Page 2 – Notes from the asylum. I’ve been providing healthcare in some form since I was a teen. This year it was my turn to be cared for. What I learned is that hardly anyone listens to the patient. It was a very frustrating. There was one sweet angel of a nurse that listened AND actually heard what the patient was trying to communicate and acted to improve the situation. One shift out of 5 is not acceptable to me. I was able to speak with a supervisor who was making rounds. She was very professional and employed active listening but nothing changed in my care after our conversation. So, how do I make this a learning experience? The quick and dirty lesson is the oldest and most basic. COMMUNICATE! Even if you cannot do a thing about the predicament BE HONEST. If you’re unable to do a darn thing to help me; tell me! At least I’m not waiting for an answer / outcome that’s never coming. The Doctor (or Nurse Practitioner) is in (actually online)! There is an exciting growing trend in healthcare that is economical and convenient for the provider and patient. I am referring to online healthcare visits. There are many choices but I am most familiar with the Maven app (https://www.mavenclinic.com). Please download it and explore. You can have a confidential quick sick visit, or have a long term medication refilled to name a few options. You will speak with a licensed provider as if you were in their office but you are in the comfort of your own home. Maven not only has nurse practitioners and physicians but psychotherapists, nutritionists, and physical therapists to name a few. The fees are reasonable and you can even make an anonymous appointment if you prefer. Of course not everything can be done online there is still a need for hands on care but the virtual options are great for unburdening the overtaxed healthcare system. Author Nurse MeeshPosted on December 5, 2016 Leave a comment on The Doctor (or Nurse Practitioner) is in (actually online)! Do you have that one friend, or that relative that does nothing but create chaos in your life? If you do then you know how disruptive and hurtful they can be. It puts everyone involved in a bad position. Do you choose sides or remain neutral? To the “offended ” person there may not feel like neutrality is possible. If you associate with the one with a grudge you have actually chosen a side. Now the one who has been shunned by the toxic person is utterly alone because others choose not to choose which in reality is a choice. Imagine telling a paralyzed individual to stop being lazy and get up and walk!! This is essentially what some who suffer with invisible disabilities are subjected to when their limitations are considered fake or “all in their head”. So before we judge try to imagine what life is like for those whose suffering is called into question on a daily basis. Statements like “your pain is way out of proportion for your injury” or ” you shouldn’t be having those symptoms” are not useful & do not contribute to a trusting relationship between patient and provider. The patient is thinking “then please tell my body that”!!! Treating patients this way is not compassionate and shouldn’t be used by empathetic providers. We all know the saying when you hear hoof beats think horses not zebras. your body temperature of 98.9 degrees Fahrenheit is not a raging fever because you “run low”. Please know dear patient that I will care for you as if you were a member of my own family but I can’t believe that I have the only all-zebra practice in the world. 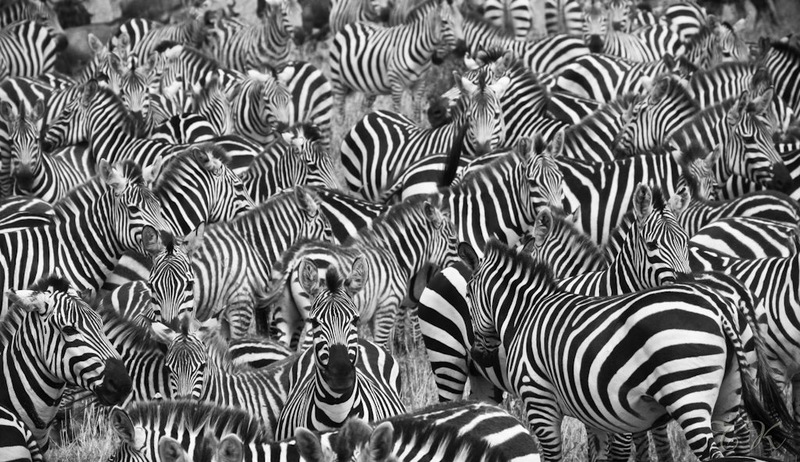 Author Nurse MeeshPosted on November 5, 2016 1 Comment on A herd of zebras? Sore throats are no fun. When we get them the can interfere with our ability to speak, eat, and if bad enough, drinking enough fluids to stay hydrated. We may look in a mirror, ask a friend to look or take a throat ‘selfie’ with our phone to look for those infamous white patches. If present we are sure we have “strep” (a pharyngitis or throat irritation caused by Streptococcus pyogenes). Before you run off to see you healthcare provider armed with you whisper-voice and your throat selfie let’s talk about it. This infection is more common in late Autumn and early Spring. If you have a family member with strep throat you will not necessarily catch it but it is pretty contagious. Strep can spread through airborne droplets when someone with the infection coughs or sneezes, or through shared food or drinks. You can also pick up the bacteria from a doorknob or other surface and transfer them to your nose, mouth or eyes. So if a loved one is infected EVERYONE in the home should WASH his or her HANDS like it is their JOB! So now you know that more often than not, your sore throat is probably viral and time is the only cure. If you are sitting upright and still have the will to live…. probably not. Kidding aside I see so many patients that believe they have the flu when it is actually a common cold or sometimes even allergies. Common cold virus symptoms include the following: mild to moderate hacking cough, sore throat, sneezing, runny and or stuffy nose, NO fever, mild aches and less often a mild headache. You can typically perform your daily functions. Influenza (flu) symptoms: very sudden onset of symptoms, moderate to severe headache, fever (102-104 degrees Fahrenheit), severe body aches, exhaustion, severe cough, chest tightness or discomfort. You are unable to work or do much more than rest. Allergic rhinitis symptoms: mild cough, some fatigue is possible, NO fever, itchy watery eyes, possible rash, runny nose and sneezing. Treatment: In 2016 there is still no cure for the cold. There are antiviral medications that are often used to shorten the course and decrease the severity of the flu. But why not arm your immune system with a Flu vaccine to hopefully avoid it all together! Allergies are best managed with antihistamines or topical nasal steroids (Flonase, Nasacort). The manufacturers of Flonase made this easy chart to help explain what I’ve covered above. Author Nurse MeeshPosted on November 1, 2016 November 1, 2016 Leave a comment on Do I have the flu?